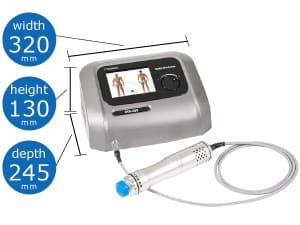 RSK-600 | ITO PHYSIOTHERAPY & REHABILITATION CO., LTD. The innovative electromagnetic generator guarantees to generate up to 5,000,000 shots. RSK-600 boasts excellent durability allowing for a quick and secure return on investment. 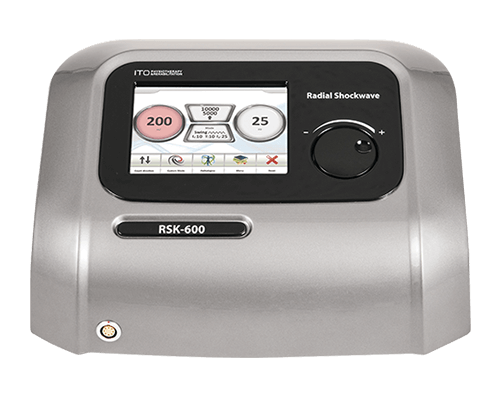 RSK-600 contains a large interactive database containing over 60 pathologies which guides the operator through the treatment. 3D illustrations and step-by-step explanations provide clear and simple instructions for the operator, guaranteeing reliability and precision starting from the very first use. RSK-600 software is a wholly interactive experience. 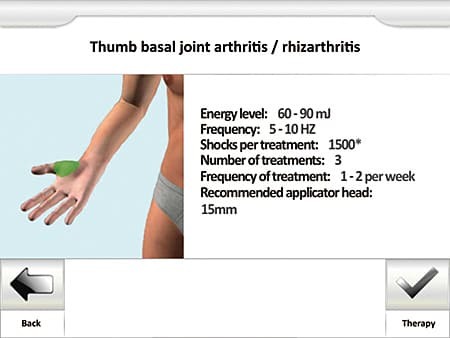 Thanks to the new 5.7" color touch screen, visual explanations of protocols featuring detailed 3D images. Furthermore, the on-board guide gives at-a-glance information on the main functions of the software and allows functions to be learned. 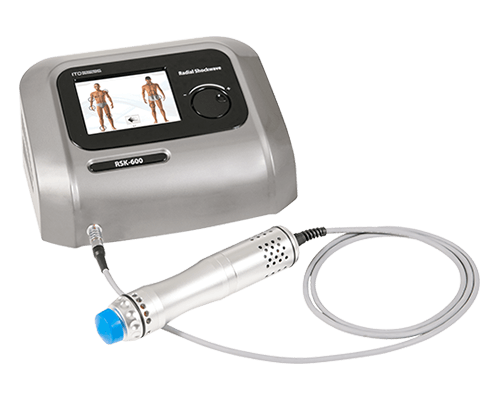 With RSK-600, shockwave therapy no longer has boundaries! 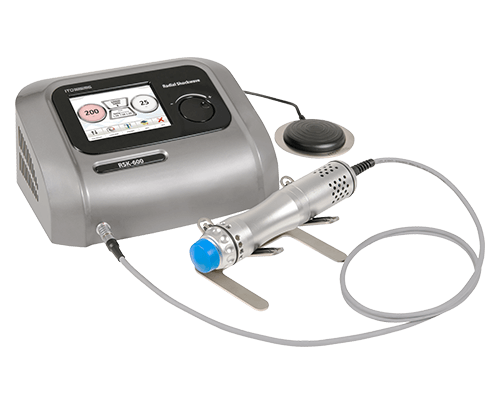 The innovative Swing Mode allows us to set a variable multifrequency shockwave treatment. 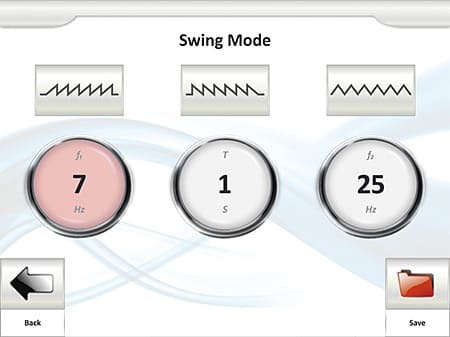 The user could set start frequency, end frequency, time duration and the swing mode shape. 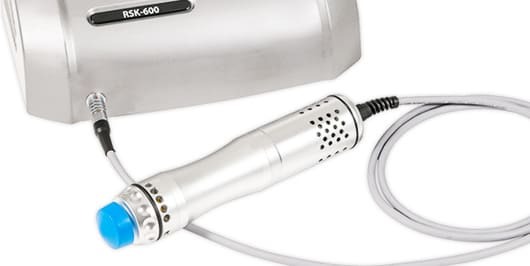 This technology makes RSK-600 an even more powerful and flexible tool. RSK-600 creates unique shockwave pulses by using a projectile 5 times heavier than standard air-pressure systems and a reduced final velocity upon contact with the applicator. 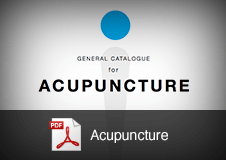 The lower peak and longer rise time minimize the stinging, painful sensation normally related to this therapy. LESS PAIN, SAME ENERGY! ULTRA SOFT TECHNOLOGY! 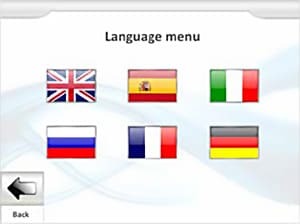 You can select language from English, German, French, Spanish, Italian & Russian. RSK-600 does not need an air compressor, as it applies an electromagnetic system. Because of its compact size, the device does not occupy much space. 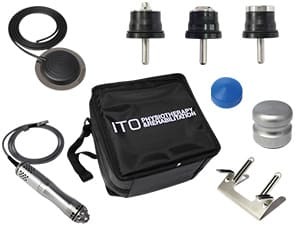 RSK-600 is supplied with ITO carrying case and all necessary accessories, such as foot switch, handpiece and various size of applicators. Easy to transport all necessary items to have complete therapy.